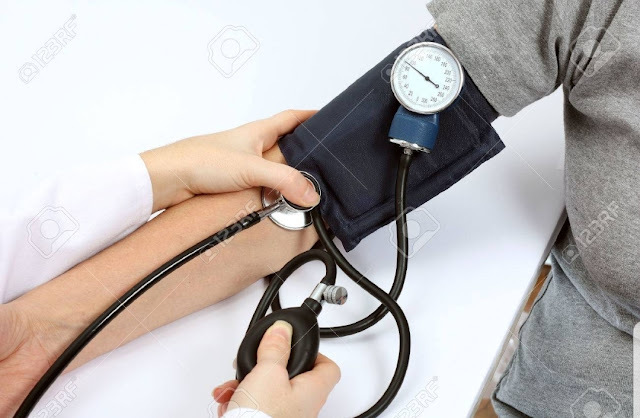 You have high blood pressure? These 2 food is killing you! How much salt (sodium) do you need per day? Only 1,500 mg (slightly under 3/4 teaspoon only). Investigations from the American Heart Association showed that the average intake of salt by the public is 3400 mg and that is more than twice the dosage recommended per day. A high sodium diet is bad for your heart. So be wary of processed foods, prepacked foods and restaurant/hawker centre-eatings where we get 75% of our salt from. According to the Centers for Disease Control and Prevention, foods like deli meat, canned soups, pizza, breads and rolls and pasta dishes are salt-heavy. How to cut this dangerously high salt intake? Instead of adding a dash of extra salt, use salt substitutes - fresh herbs and spices, garlic, citrus and vinegars makes your food tastier and it is healthier to your blood pressure. American Heart Association recommends no more than 6 teaspoons of added sugar per day ( 100 calories) for women and 9 teaspoons for men (150 calories) per day. Note this: There is no nutritional benefits for added sugar. Added sugar causes your blood sugar to spike. And this is not good for insulin health. In the long run, hypertension sufferers are prone to diabetes if added sugars are your daily diet. Cereals, soda, soft drinks, candy, desserts and fruit drink are high in sugar. Extra calories can easily lead to being overweight or obese. These extra weight makes your heart work harder, increasing your risk for high blood pressure. Even if you’re not overweight, these added sugars increases triglycerides, which has a toll on your blood pressure too. Triglycerides raises your risk of heart disease and may be a sign of metabolic syndrome which is a combination of high blood pressure, high blood sugar, too much fat around the waist, low HDL ("good") cholesterol, and high triglycerides. Read nutritional contents and be wary of these words: maltose, sucrose, high fructose corn syrup, molasses, cane sugar and raw sugar. Get rid of that white sugar altogether. Use fruit like bananas and raisins as substitutes to sweeten your cereal and oatmeal. Use spices such as cinnamon and ginger to increase the flavor of foods without the sugar. Gain control of your blood pressure is the first step in helping to reduce the risk of atherosclerosis, stroke and heart disease. Lifestyle is the answer to a healthy blood pressure. Clock in your exercise endorphins weekly - 240 minutes per week according to the American College of Sports Medicine. Exercise strengthens your heart and blood vessels and it helps in your recovery from hypertension.